بني في 1995, Gables Motor Lodge هو ميزة مُضافة لـ جرايماوث و خيار ذكي للمسافرين. يحظى هذا الفندق ذو 4 نجمات بمكان ممتاز يسمح بالوصول إلى المعالم السياحية الأكبر في المدينة، فهو يبعد مسافة عن صخب المدينة. يشكل هذا الفندق ملاذاَ مريحاً للاسترخاء ويمنح زواره فرصة للاستجمام والتجدد، وهو يقع على بعد خطوات من المعالم السياحية الكثيرة للمدينة كمثل: جريمته هوسبيتل, مطار جريماوث, مونتيث بروينج كو. كما يقدم Gables Motor Lodge الكثير من الخدمات لإغناء رحلتك في جرايماوث. لضمان راحة ضيوفه، يقدم الفندق الخدمات التالية: واي فاي مجاني في جميع الغرف, مرافق مخصصة لذوي الاحتياجات الخاصة, تخزين الأمتعة, واي فاي في المناطق العامة, صف السيارات . بالإضافة لهذا,تتضمن كل غرف الضيوف مجموعة واسعة من وسائل الراحة . بعض الغرف توفر حتى تلفزيون بشاشة مسطحة, اتصال لاسلكي بالإنترنت, اتصال لاسلكي بشبكة الإنترنت (مجاني), حوض الاسترخاء, غرف لغير المدخنين لإرضاء أكثر الضيوف تطلباً. يقدم الفندق العديد من الفرص للاستجمام كمثل حديقة. إن Gables Motor Lodge هو خيارك لخدمة الفنادق الراقية في جرايماوث. مكتب الإستقبال مفتوح من 7:30 AM إلى 9:00 PM. الضيوف الذين سيصلون خارج هذا الوقت بطلب منهم التواصل مع العقار مباشرة قبل موعد الوصول لترتيب هذا الأمر. Great spacious self contained room . We had a disabled room so bathroom huge plenty of room . Bed comfortable . Was only a stop over night for us but was great as in walking distance to shops . Host happy and friendly . The owner is awesome and very welcoming! He recommended us things to do in Greymouth and also provides some tips for our road trip to Franz Josef. Rooms is very clean and smells good. Another plus point is that we can park our rental car right outside our room. Definitely five stars room with five stars service. 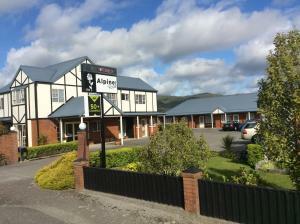 Fast internet access, full cooking facilities, New clean room. I had a very good experience for my stayed, the hotel facilities are very new, it equipped with full cooking facilities with fast internet for free, very friendly and helpful receptionist, Supermarket is nearby, is a short drive to town center. I will not hesitate to stay in the same motel again. Great location, spacious, jacuzzi, friendly owner. We arrived early in Greymouth and managed to check-in early. The unit was very clean and spacious. 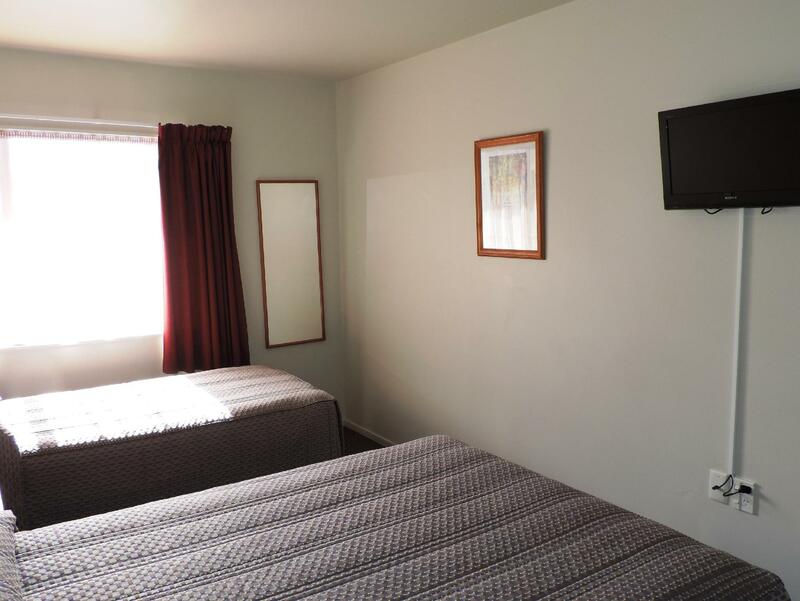 It was the best motel that we have experienced in New Zealand. The motel is equipped with cooking facilities. We chose a unit that was equipped with jacuzzi and glad we did as the kids loved it! The motel owner is very friendly and helpful. 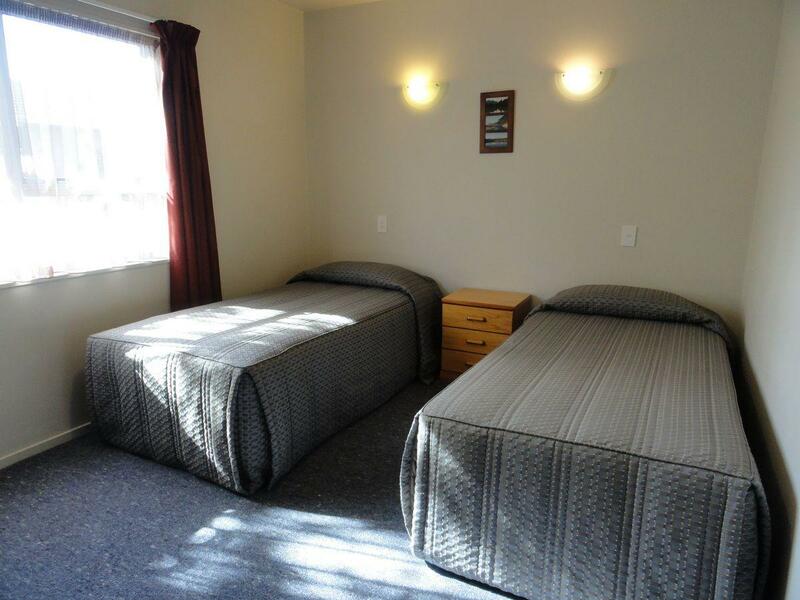 Please note though that generally in New Zealand, the common practice is each unit will have a base price for generally 2 adults and each additional occupants will have a surcharge, regardless of the number of bed or rooms that exist. After some time the manager found the booking was in the name of Frank Elliott(my brother who,lives in Scotland) My booking confirmation was in my name and it was my Visa card number. Also this email has been sent to Frank Elliott asking how he enjoyed his stay!!! What is going on. Please could you sort this out. My name is Vera Cassidy and it is my email address that is being used. We had a group of 8 people. 3 kids and 5 adults. It was very comfortable stay for us. The kitchen was fully equipped and allowed us to cook breakfast for kids. We could do our laundry as well...which was a big bonus it being on site. Super per polite staff and vey accommodating when it came to our needs. Will highly recommend this place to any one who is visiting the City :)... Many thanks for a comfortable stay at your hotel. We had a very pleasent stay, it was only for the night however the staff went out of thier way to ensure we had everything we needed. also gave great tips on what to see and do in the local area and on our travels along the way to Queenstown. 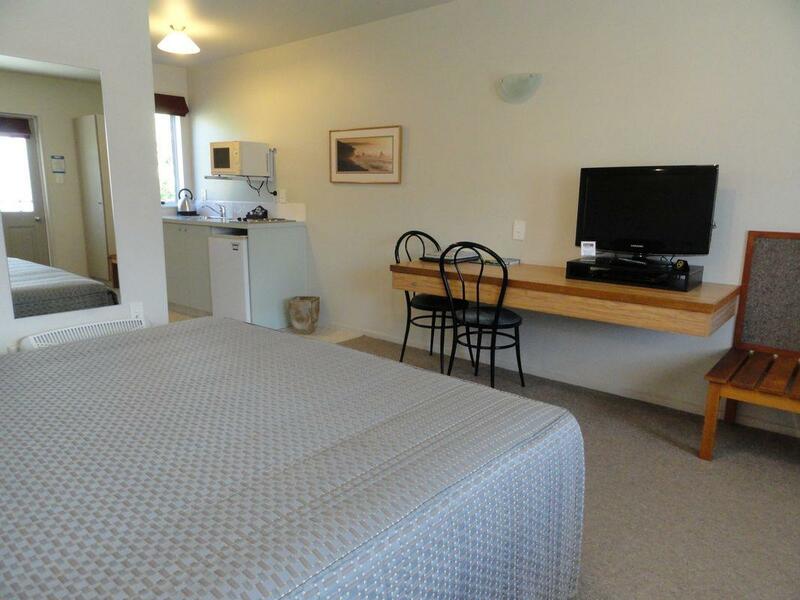 Gables Motor Lodge is a perfect accomodation just a few minutes drive from the centre of Greymouth. It is easy to find, the rooms are spacious and clean. The kitchen is well equipped and the beds are marvellous. The owner is taking care his guests very well. 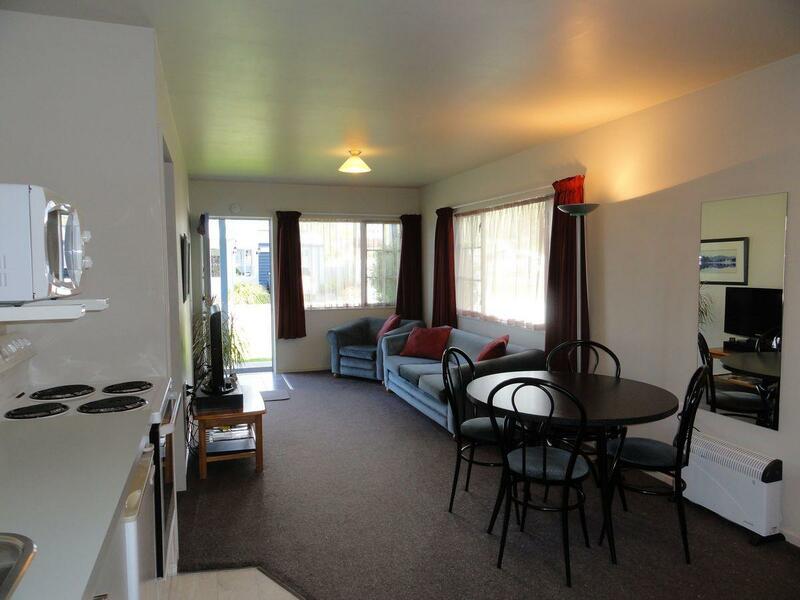 I was attending a conference in Greymouth and found my stay at Gables Motor Lodge to be very comfortable. 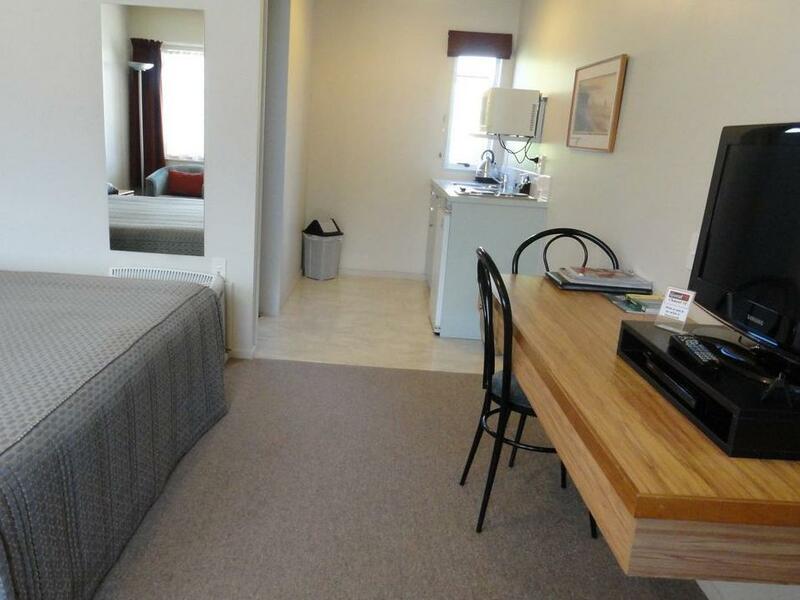 The room was very spacious, clean and with good facilities and represented real value for money. The staff were friendly and helpful. 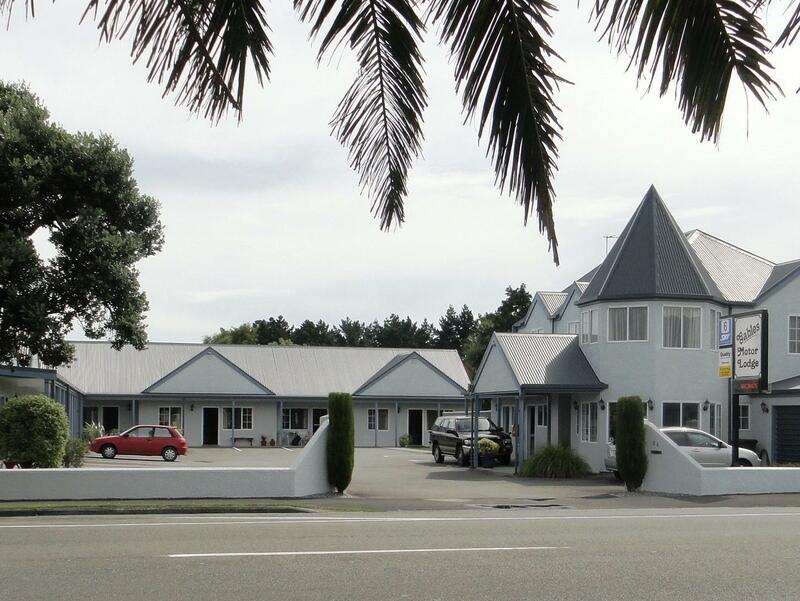 I have no hesitation in recommending Gables Motor Lodge as a place to stay in Greymouth. The lodge is located on the road to the Glaciers and Haast, but it is far enough from the road to not hear any traffic. The studio is spacious enough and fully equipped. The bathroom with the heating lights was a big bonus and very welcome. Wifi is free with fast connection. Good beds for a comfortable night rest and all the kitchen facilities were there. Upon arrival I got some valuable information about best location for sunset photography, restaurants, and things to do and to see for the next day on the way to the Glaciers and this was all spot on. I also liked the TV Channel 10 with a short impression of things that the area has to offer. This lodge is very convenient and comfortable and with all the good information there is no way you can go wrong here for a stay of a few nights. Gables Motel was the first accommodation as we traveled from Christchurch to Greymouth for a night stop. We didn't have any difficulties finding the place and it was after all a small town. The receptionist showed us to the room which is a studio suite that came with a small kitchenette but it was more than sufficient for us to prepare breakfast. Besides being well equipped with kettle, microwave and utensils, a good selection of tea such as Dilmah and coffeee were provided. 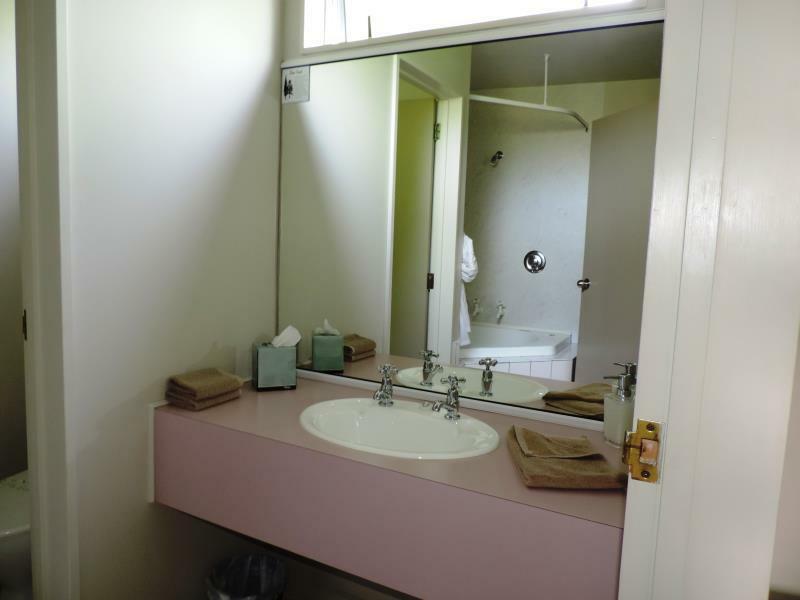 The bathroom was clean and simple but spacious and you can tell that the layout of it was handicap friendly. enjoy our one night stay very much; very convenient location, check-in very easy and staff very helpful. cooking facility complete and the bath/toilet was huge in area. all we wish for a one night was there including free wi-fi connections. 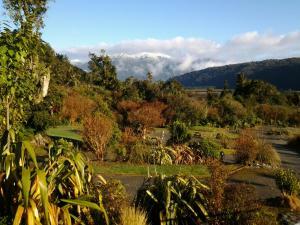 We were travelling North from Frans Josef, and arrived Greymouth after lunch and checked in. Owner very friendly and obliging. Visited the historic gold mining viliage of Shantytown, which was most interesting. Cooking facilities at Gables were good, and had a comfortable nights sleep. Stayed just one night. It was located on the main load of the city so if you're driving you can't miss the place. There was a big supermarket and gas station within just a minute so it was very convinient. It looked a bit old but well cared and very clean. I don't know if all motor lodges are like this in Newzealand and I stayed only one night but I had really great time and I coundn't ask more. This accommodation was one of our highlights for our 16 day South Island holiday. Great views of the mountains outside and great amenities inside. Nothing to fault, highly recommend this place to stay. We used this hotel for a 1 night stopover. It is convenient. Receptionist was very friendly and helpful. I would certainly stay here again and recommend it to other people.It was fully booked the night we stayed so that is also a good recommendation.